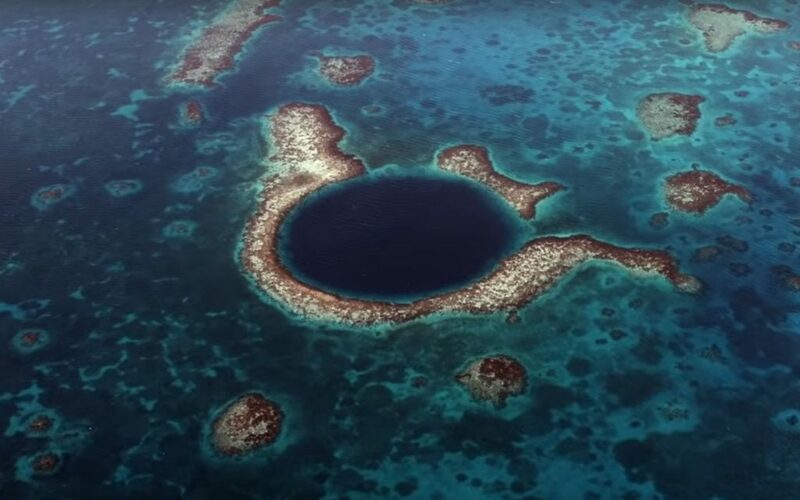 Millions of people around the world got a chance to see Belize last Sunday when the Discovery Channel broadcast a historic live two-hour show from the bottom of the Blue Hole of Belize. The world’s largest sinkhole, the Blue Hole of Belize is one of the country’s most recognizable landmarks, a vast flooded cave located approximately 45 miles offshore. As part of his pioneering television series, The Undersea World of Jacques Cousteau, Jacque and his crew aboard The Calypso made Belize famous when they visited and explored the Blue Hole in 1971. Using specially built cameras, Jacques Cousteau broadcast the very first images from the bottom of the Blue Hole. But in the 47 years since, no one else has attempted to record and scientifically explore what lies beneath the Blue Hole. Until now. On December 2, 2018, the Discovery Channel broadcast a special program on an ongoing scientific expedition to video record and map the entirety of the Blue Hole. One prominent scientist participating in the mission was Fabien Cousteau, the grandson of Jacques Cousteau and an accomplished oceanographer in his own right. Just like his legendary grandfather, Cousteau has spent his entire life working to promote the beauty of marine habitats and advocate protection of the world’s oceans. Although the Discovery Channel’s broadcast was limited to a single day, the scientific expedition will continue to map and chart the Blue Hole until December 15. Part of their mission is to take soil and water samples to better understand the long-term climatological changes that have occurred in the region. This data may eventually help archaeologists better understand why the ancient Maya who lived in Belize abandoned their cities and suffered a dramatic decline in population around the year 900 A.D. This year’s expedition used military-grade sonar and advanced underwater vehicles provided by Aquatica Submarines in order to create the very first three-dimensional map of the entire Blue Hole. Aboard one of the submarines was Sir Richard Branson, founder of the Virgin Group and an accomplished adventurer, in an effort to help publicize the importance of preserving pristine marine environments like the Blue Hole. If you’re interested in exploring places in Belize like the Blue Hole, one of the best places to stay is the award-winning Caves Branch Jungle Lodge. Located in the heart of the pristine rainforest, Caves Branch offers combination reef and jungle vacation packages which can include diving tours of the Blue Hole.